The U.S. Department of Defense (DOD) will seek a $582.7 billion Fiscal Year 2017 budget that includes research and development spending on a new “arsenal plane,” swarming autonomous micro drones, and “gun-based” missile defense. A week ahead of its release by the Obama administration, Defense Secretary Ash Carter provided a sketch of the budget on February 2 during a speech in Washington, D.C. The Pentagon seeks to spend $71.4 billion on research and development in the budget, Carter told The Economic Club of Washington, D.C. He described several projects being pursued by the Pentagon’s Strategic Capabilities Office (SCO), an entity that he created while serving as deputy secretary of defense in 2012 to rapidly field existing systems with new capabilities. The SCO is also developing swarming, autonomous vehicles that will operate as groups in multiple domains. “In the air they’ve developed micro drones that are really fast, really resistant,” Carter said. “They can fly through heavy winds and be kicked out the back of a fighter jet moving at Mach 0.9, like they did during an operational exercise in Alaska last year, or they can be thrown into the air by a soldier in the middle of the Iraqi desert.” The miniature drones make use of some commercial and 3D-printed components, he added. 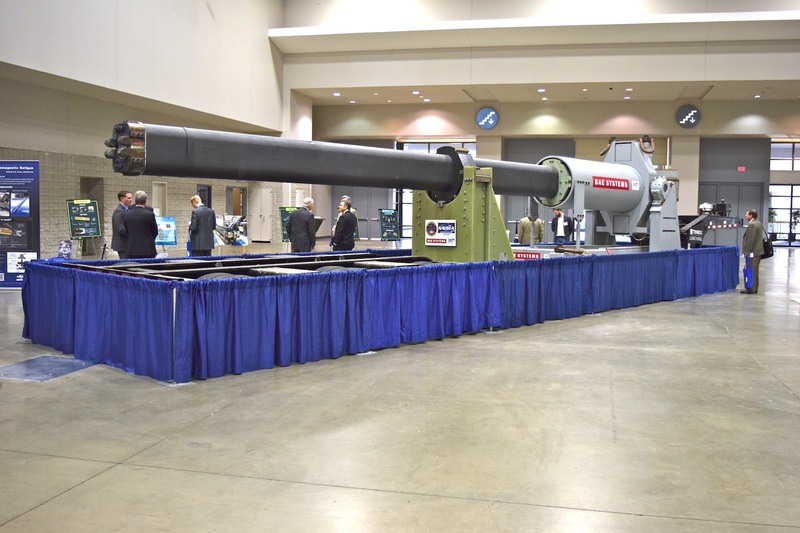 Another project for gun-based missile defense foresees using hyper-velocity smart projectiles such as envisioned for the developmental electromagnetic rail gun for “point defense” by the Army’s Paladin self-propelled howitzer and the 5-inch guns on Navy destroyers. Carter said the Pentagon recently fired such a projectile from the Paladin. A fourth SCO effort focuses on augmenting the targeting capability of precision-guided small diamter bombs. “This will eventually be a modular kit that will work with many other payloads, enabling off-network targeting through commercial components small enough to hold in your hand like your phone,” Carter said. Within the FY2017 budget, the DOD will also seek $1.8 billion to acquire 45,000 additional GPS-guided smart bombs and laser-guided rockets to resupply the campaign against Islamic State, or ISIL, militants. It plans to defer until 2022 retiring the A-10 Thunderbolt II close air support jet, “which has been devastating to ISIL from the air,” Carter said. The defense secretary did not mention reported plans by the Navy to refashion its unmanned carrier launched airborne surveillance and strike (UClass) requirement as an aerial refueling platform. Defense News first reported that the Navy will develop a carrier-based aerial refueling system—or CBARS—settling a debate over whether the UClass aircraft should be primarily a strike or a surveillance platform. Last April, the service demonstrated the capability of the Northrop Grumman X-47B unmanned aircraft to receive fuel from an Omega K-707 tanker while flying off the coast of Maryland and Virginia.